La Demanda Naturaleza y Aventura is a company specialising in outdoor and adventure activities. 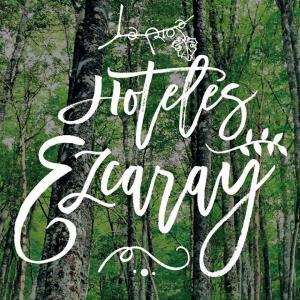 It is in Ezcaray, 60 km from Logroño, in the far northwest of the Ibérica System mountain range and in the heart of the Demanda Mountains. Activities: Paintball. Interpretive walks. Mountain routes and climbs. Canyoning. Caving. Climbing. Bungee jumping. Abseiling and death slides. Archery. Mountain biking. Horse riding. Snowshoes and downhill skiing. Other activities include: Orienteering, nature classes, mammal and nocturnal and diurnal bird watching, multi-activity programmes, corporate and school events, equipment hire, etc. We can also arrange accommodation if required. We educate about and respectfully enjoy the natural surroundings. Opening times: Closed on Mondays. Tuesdays and Wednesdays from 10 a.m. to 1.30 p.m. and from 4 p.m. to 6.30 p.m. Thursdays, Fridays and Saturdays from 10 a.m. to 1.30 p.m. and from 4 p.m. to 7 p.m. Sundays from 10 a.m. to 1.30 p.m.
RUEDAS DE LANA organises mountain bike rides through the landscapes and villages famous for transhumance and wool in La Rioja. The rides take the tracks, paths and drover's roads used by shepherds and sheep searching for the best mountain pastures in each season. A BIKE RIDE through amazing landscapes and mountains in La Rioja, taking you overthe Demanda and Cameros Mountains to the headwaters of the Oja, Iregua and Najerilla Rivers, through tiny mountain villages with traditional architecture and a pastoral history including Ezcaray and San Millán de la Cogolla, and through the villages in the Camero Nuevo and the Siete Villas regions. AN EXPERIENCE that invites you to find out more about the places that hold on to the memory of the transhumance; sheep pens, huts, shearing farms, small anthropological museums, chapels that honour pastoral miracles, small inns where shepherds and their flocks rested and exhibitions and visitor centres about this inherited landscape. AN INVITATION FOR YOUR SENSES taste traditional pastoral food, touch the blankets and patchwork quilts, smell the local cheese, listen and dance to traditional music and meet the people who keep the ancient transhumance festivals alive. 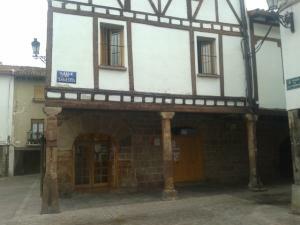 Silvestres promotes the values of ecotourism in the region of Alto Oja in La Rioja. Ecotourism is an alternative type of tourism, with a solid commitment to preserving nature and respecting the wellbeing of local populations. Our guided tours and outings let you experience and enjoy the extraordinary nature that embellish the hills of La Demanda Mountain Range and its surroundings, and learn about the main leisure and environmental resources. Our range of activities are linked to a select type of hiking and take place in a healthy, exceptionally well-preserved natural environment. Our highly qualified guides have carefully designed an interesting number of fun and educational itineraries, perfectly suited to all levels of fitness and ages. In addition to conventional paths, we now also include a range of new off-the-beaten-track itineraries, visiting the mountain range’s lesser-known and isolated locations. To guarantee the safety of all our customers, we have a civil liability and accident insurance policy that is permanently in force. We are also registered in the Register of Tourism Service Providers of La Rioja (Authorization TA-LR-28). 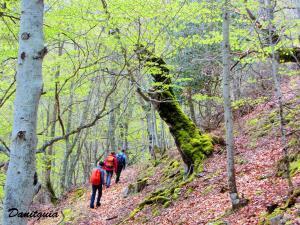 -Active hiking tours around the hills of the Oja.